Almond Flour is simply skinless, blanched almonds that have been ground to a super-fine texture. 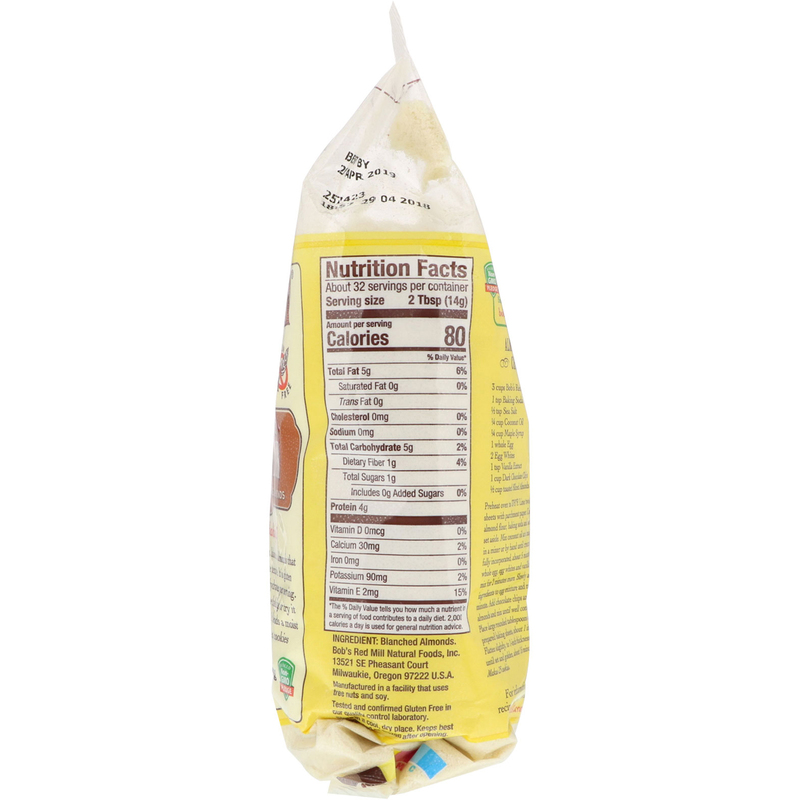 It is gluten free and contains 5 grams of carbohydrates per serving. Use it in for grain free and gluten free baking, or try it as a breading for meats and vegetables. 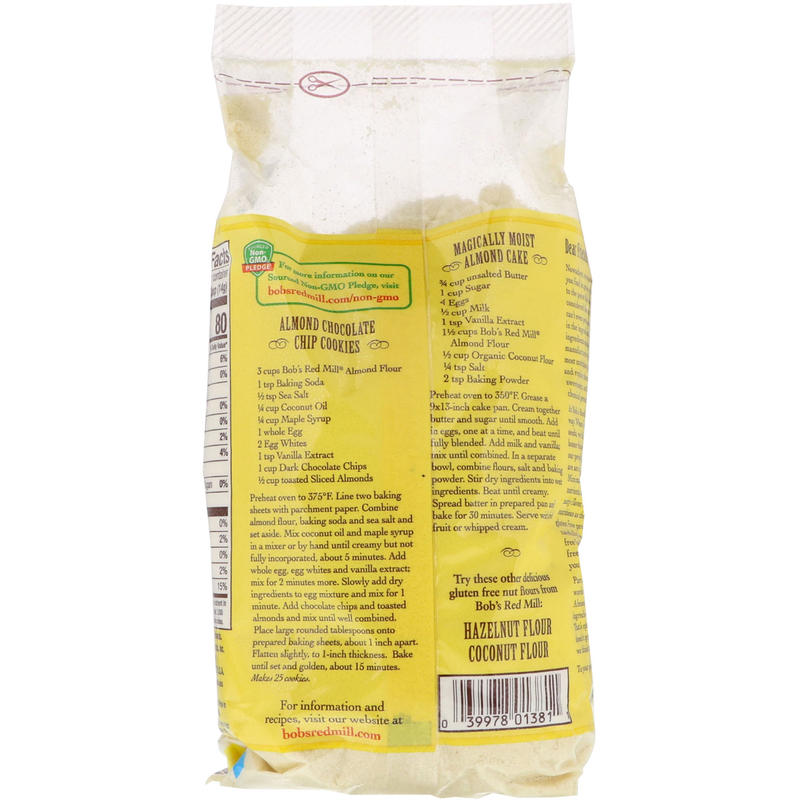 It lends a moist texture and rich, buttery flavor to cakes, cookies, pancakes and muffins. Nowadays, so many of the products you find in grocery stores are processed to the point that they can barely be considered food at all. Sometimes you can't even pronounce half of the things in the ingredients list! Even if the ingredients started out as real food, the manufactures willfully remove the most nutritious parts during processing and replace them with fillers, sweeteners, artificial flavors and chemical preservatives. At Bob's Red Mill, we just don't do it that way. When it comes to grains, nuts and seeds, we think nature got it right. We honor that innate perfection by making our products simple, and our nut flours are an excellent example of that practice. Minimally processed, chock full of nutrients, and boasting a naturally sweet, nutty flavor, these unique flours are as nutritious as they are tasty. Like all our gluten free products, our nut flours are carefully handled in our dedicated gluten free facility. They're also tested for gluten free purity, so you know they're safe for you and your family. Pure and simple. 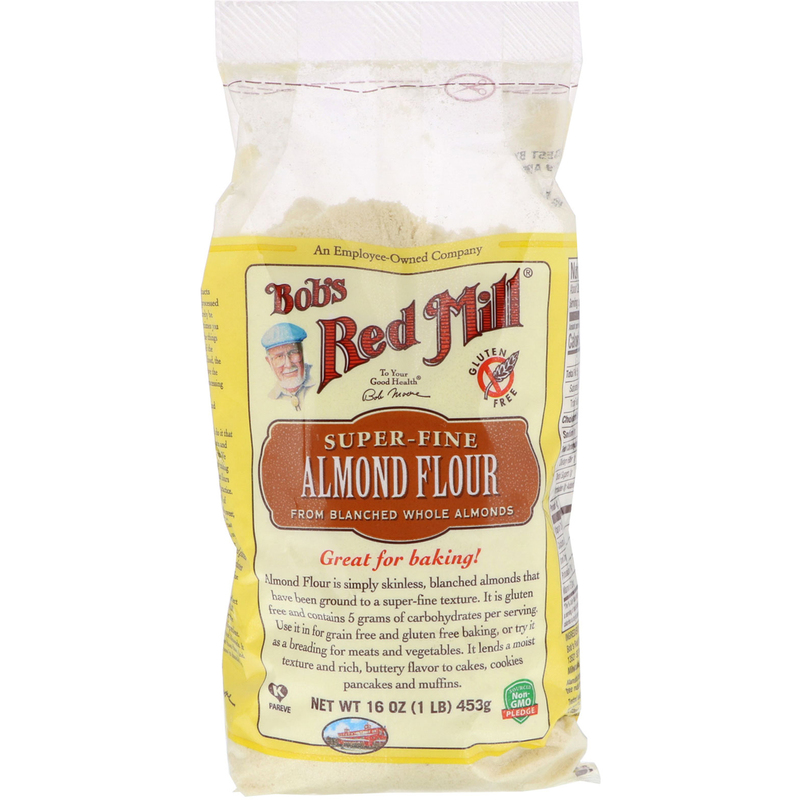 Those are the perfect words to describe Bob's Red Mill Almond Flour. Take a look at the ingredients-or rather, the ingredient. That's right. There's only one: almonds. It doesn't get much simpler than that. And we think that's just how it should be. Keeps best refrigerated or frozen after opening.